Women historically have been denigrated as lower than men or viewed as privileged. 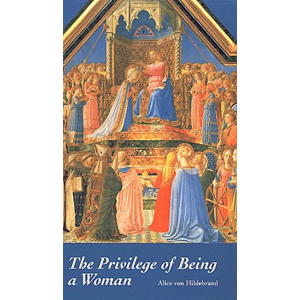 Dr. Alice von Hildebrand characterizes the difference between such views as based on whether man's vision is secularistic or steeped in the supernatural. She shows that feminism's attempts to gain equality with men by imitation of men is unnatural, foolish, destructive, and self-defeating.